Your 9 year old is a tween now. Finding the perfect gift for a 9 year old can be a real challenge. That’s why we have rounded up the best toys for 9 year old boys and girls. The 9 year old on your list is starting to form more complex friendships as they spend more time away from home. 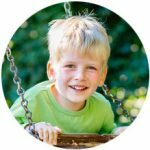 What are the best gifts for 9 year old boys and girls? 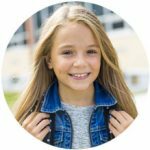 Like other tweens, it can be difficult to shop for 9 year olds because they have so many personalities and interests. 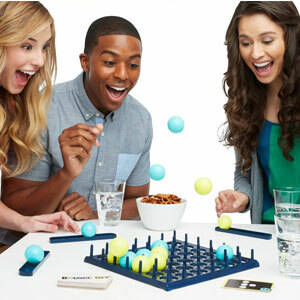 At age 9, look for toys that encourage kids to socialize like board games. Children of this age love to work on craft projects without much assistance as they develop their sense of individuality. 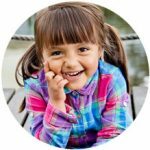 They can also benefit from activities that require them to explore the world around them like science and art kits, which are great educational toys for 9 year olds. From cute boots to toys that interact with technology, here are our favorite gifts for 9 year olds. Want to see even more cool toys? 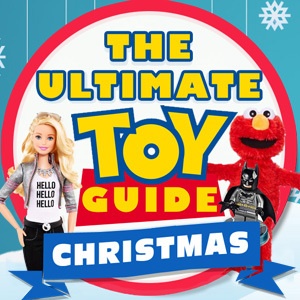 Check out our most popular Gift Guide on the hot toys for christmas 2015. These clothing gifts are sure to give your 9 year old a unique sense of style. 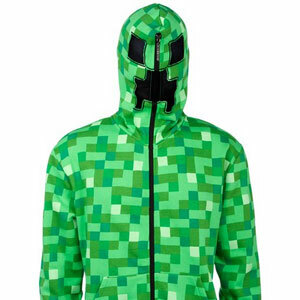 Minecraft fans will not be able to go anywhere without this Minecraft Hoodie. Made of 100% cotton, the zipper zips up all the way, making a creeper mask on the hood. The eyes and mouth are made out of a mesh so you can breathe and see out of them. Offered in a variety of adult sizes, you can find the perfect size that fits. 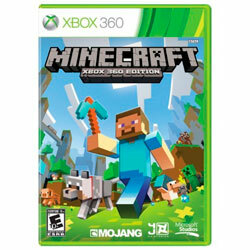 It’s a great gift for any Minecraft fan that can’t get enough of the game. 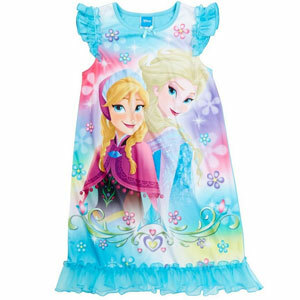 Your little Frozen fan will love this short sleeve nightgown with Anna, Elsa, and Olaf on it. Made out of cotton, it’s bright and colorful and sure to be her favorite nightgown. Even Elsa needs one of these. 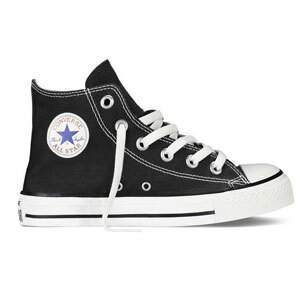 While Converse Chuck Taylor high top shoes has been around for ages, it has never gone out of style. Your little girl will look like an all star with these high top shoes. The bottom of the shoe is flat which makes it easy to walk. 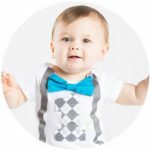 Available in so many different styles, you can find the perfect pair for your child. Your little girl will practically live in these super cute pair of boots that look very similar to an expensive pair of Uggs. Made of suede with a rubber sole, this comfortable boot can be paired with just about anything for a irresistibly cute look. 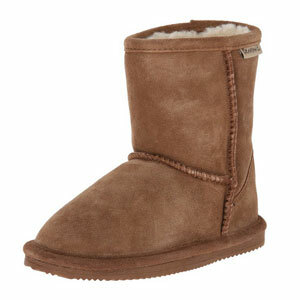 Available in multiples sizes, you can find the perfect pair. Your 9 year old will be the coolest kids in class with these great science kits. 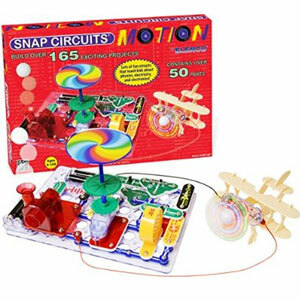 With everything from snap together circuits to microscopes, this list of science toys is sure to bring out the little scientist in your child. These toys not only encourage math, physics, and other sciences, they make learning fun. 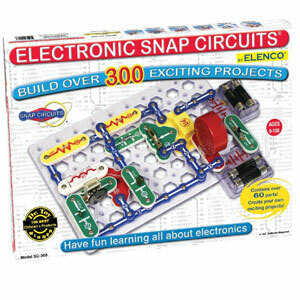 Snap Circuits Jr. SC-300 is the ideal kit to get kids interested in circuit design. Everything snaps together like Legos on a plastic snap grid. There is no soldering required. The instruction manual contains step by step directions to build over 300 projects from a simple light to more complicated projects. All of the circuit components are colored coded for easy identification. It’s a snap. 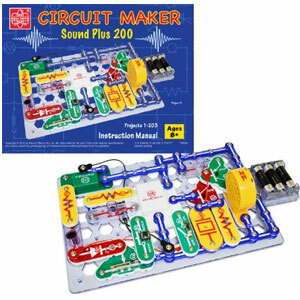 With the Circuit Maker Sound Plus 200 from Elenco kids will explore how sounds works. Like other snap circuits, the pieces snap together easily onto the main circuit board. The kit comes with a booklet filled with over 200 projects. All the components are color coded, making it easy to follow along. Containing over 50 parts, little builders will love creating these snap together circuits. 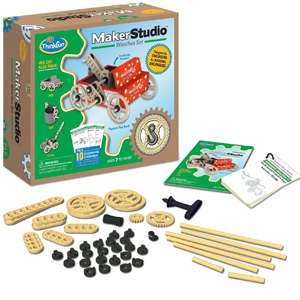 With this set you not only get to build cool circuits but you get to power moving components. Everything is motion and physics based. The set includes gears, lights, sounds, and pulleys. Kids will build everything from a motion detector to robot crawlers. 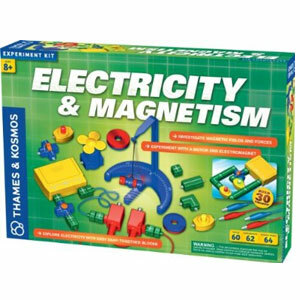 Explore Electricity and Magnetism with this fun science kit from Thames and Kosmos. Kids will explore the basics of electricity building with switches, LEDs, and motors. All the components come in self contained colored easy to snap together blocks that you simply stick together. With 62 experiments, it comes with a nice easy to follow manual that shows you how to build 30 circuits. 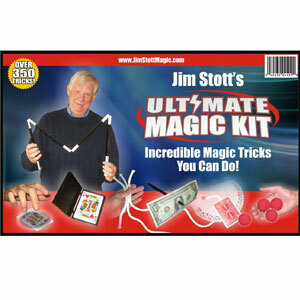 In addition to electricity, the kit also covers magnetism. 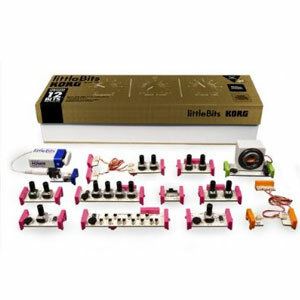 With Little Bits kids can build complex circuits in seconds. All of the electronic modules snap together with magnets. Everything works in a Lego-esque way. You can’t really put the circuits together the wrong way because the magnets will reject each other. The Electronics Synth Kit has kids making their own synth kit among other projects. The kit comes with the filter, sequencer, keyboard, 2 oscillators, envelope, delay, and more. 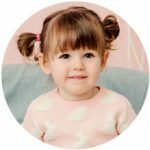 Kids will love experimenting with the different parts to create different musical synth sounds. 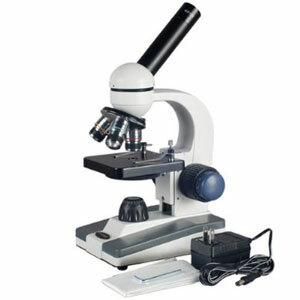 This is a great first microscope for elementary kids. Compared to toy microscopes, it is excellently constructed. There are just the right amount of adjustments with the monocular head, LED light, and five magnification settings from 40X to 1000x. Little scientists will love exploring the world that they can’t see with just their eyes. Little astronomers can explore distant planets, the moon, galaxies and stars with this telescope designed for kids. 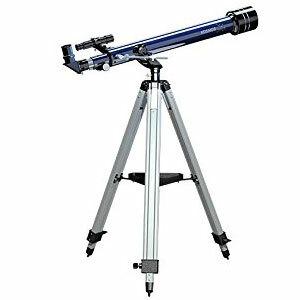 Mounted on a aluminum tripod, the telescope is easy to set up, sturdy, and lightweight. The kit contains everything you need. With a 700mm focal length and 60mm objective lens, you will not only be able to see the surface of the moon but explore the cosmos. 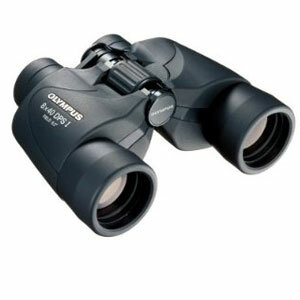 Your kids can explore the great outdoors with this excellent set of binoculars from Olympus. This set of binoculars is a great bang for your buck. Kids will be drawn into another world when they take one look into these. If they love to hike, watch nature in the backyard, or even want to catch their favorite concert or sporting event, these binoculars are the perfect gift. 9 year olds learn by playing. 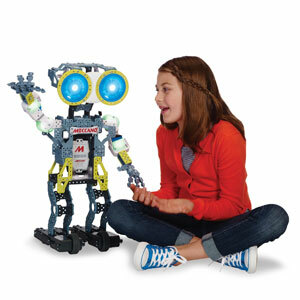 With robots, children can become programmers, artists, engineers, and storytellers. 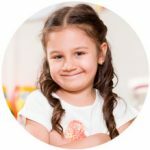 With these gifts they will learn about sequencing, cause and effect, patterns, computational thinking and problem solving. 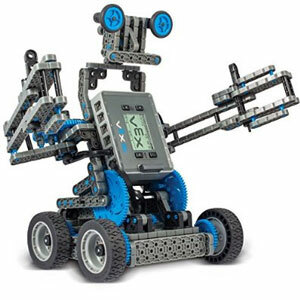 Kids can design and program their own robot with the Vex IQ robotic system. Compared to other robotics platforms, it has much more default functionality right out of the box. Just plug in a motor and sensor and it works. You can use the included remote control to pilot the robot. There is no advanced programming required, but more advanced programming can be explored, allowing children to grow with the set. 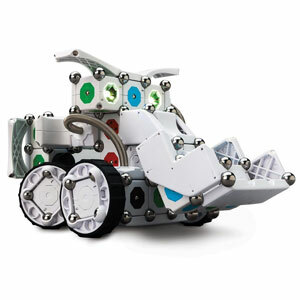 The kit includes 750 pieces, the robot brain, a remote controller, and a variety of sensors. The size of a small kid, this is Meccanoid G15 KS. This 4 foot tall robot made a big splash at CES earlier this year. Before you can use him, you actually have to build him out of 1223 Meccano pieces. In addition to the humanoid, there are several forms to build including a dinobot and rover. 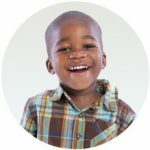 While he comes pre programmed, this robot comes with a technology called learned intelligent motion that allows kids to easily program him simply through various forms of motion. Push a button to record his movement. Move his arms and head around. When you are done, he will then repeat the exact same motion. Based on his larger brother, this is the Meccanoid G15. At 2 feet, he is about half the size as the larger robot. 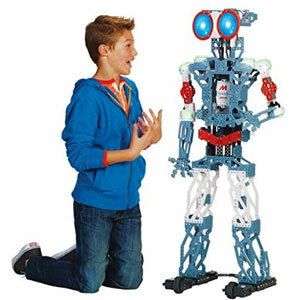 You build him out of the 600 Meccano pieces which can be used to build different kinds of robots like a dinobot or rover. Programming him couldn’t be easier thanks to the learned intelligent motion technology. You can record movements and make the robot play them back. In addition, the robot connects with an app that allow you to control it with an app. 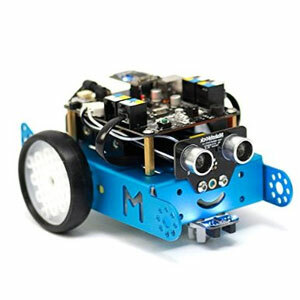 The MakeBlock mBot is a very inexpensive robot for kids with sensors that kids can program. It based on the arduino board. It’s very easy to put together and uses a graphical programming language that is designed for kids. Everything just screws together and it can be put together in a few minutes with the included instructions. Once built, you can use the remote or app to control your bot. The robot has sensors in its eyes to avoid walls. The fun part is learning how to program him with the Scratch language. You can program all the sensors, LEDs, the speed, and movement. The Ozobot 2.0 is a tiny inexpensive robot that kids can code. 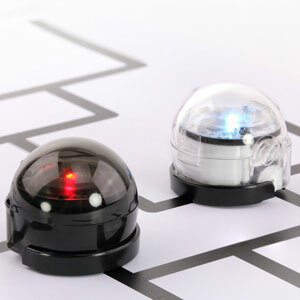 It has never been so easy to program a robot than with the Ozobot. Kids can simply use the graphical drag and drop interface to program Ozobot. Even with the simplistic interface, kids will learn the fundamentals of programming. Ozobot can sense colored lines, detect patterns, and do more. This robotics building kit from Moss is really the next step to Legos. With Moss cubes kids can build robots very quickly from scratch with no programming. Unlike most robotic toys, it is very accessible even for beginners. This kit comes with 52 cubes each with a different function including providing power, sending data, spinning, or lighting up. Each connection has color assignments which makes it easy to figure out how to connect up the components. Moss cubes can be put together an a infinite amount of ways and aren’t restricted to only those shown in the instructions. 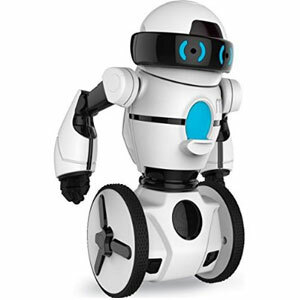 This robot from Wowwee self balances on 2 wheels. What could be cooler than that? The robot can be controlled through gestures or an app. Simply wave your hand in front of the toy to make him move forward, backward, or turn. Turn his wheel to access different modes. In roaming mode, he will roam all around detecting obstacles in his path. The coolest part? You can use an app to drive him around. How would you like to own a pet dinosaur? 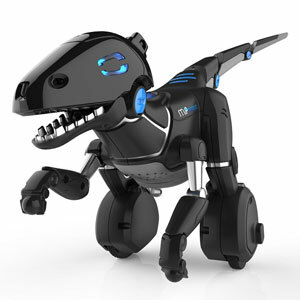 There is nothing prehistoric about this robot dinosaur from Wowwee. Balancing on 2 wheels, this dinosaur can be controlled in 3 ways. 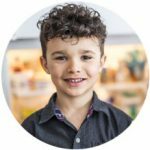 Kids can use gestures, an app, or the included trackball. He behaves just like a real pet. If you pull on his tail, he will get annoyed, letting out a growl. In leash mode, the dinosaur will follow behind you. With the track ball, the dinosaur will chase after it just like a real pet. Our favorite mode lets kids drive the dinosaur around with an app. Got a child addicted to Minecraft? 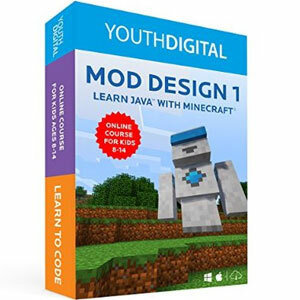 Now kids can program their own modifications using Java with this course from Youth Digital. Kids can add their own items, blocks, armor, creatures and more. The course provides easy step by step directions and you can rewind the video as much as you need to follow along. There’s no better way to get started programming than with Java and Minecraft. 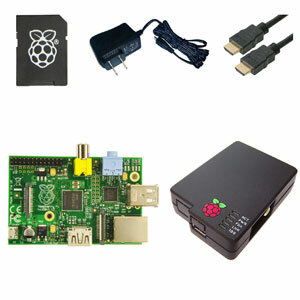 The Rasberry Pi was invented to get kids more interested in computers. This small credit sized computer can be used by kids to learn how computers work and learn to program. This starter set has everything you need to get started. All you need is a usb mouse, keyboard, a monitor, and an amazing interest in computers. Smartphones, tablets, headphones, cameras, and computers. All kids love tech. 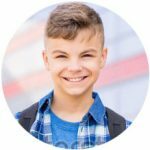 In today’s technological world, kids are more connected than ever. Kids won’t be able to get enough of these great tech gifts. 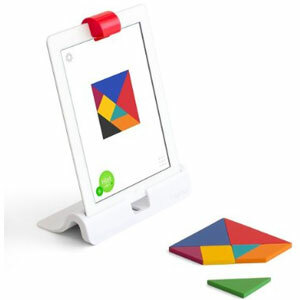 The Osmo gaming system for the iPad is cool. You fit a reflector over the iPad’s camera that allows the camera to see your hands without even touching the screen. The result is that you can do things in the real world that interacts with the digital world. There all kinds of different games. One game has players putting together tanagrams and the game recognizes when you have them correct. Best of all, you can be sure that kids are using their brains. Go beyond the screen. 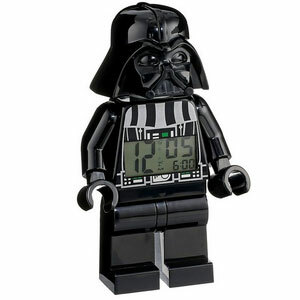 Lego and Star Wars fans will adore this huge minifigure that doubles as an alarm clock. Just like a real minfigure, both his arms and legs move. Push down on Darth’s head and the clock lights up with a red glow. Everything is awesome. 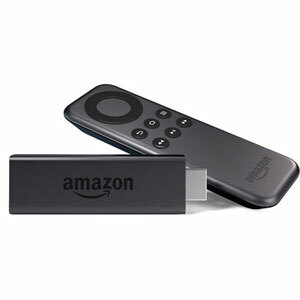 This tiny media streamer from Amazon packs a lot of functionality. Simply stick it in your HDTV’s HDMI port and you can watch Amazon content and third party content like Netflix, HBO Go, Hulu Plus, and more. If you have Amazon Prime, this is a must have. Kids don’t have to worry about being allergic to this pet kitten. The toy uses tracking technology that allows you to control the cat with the motion of your hand. The cat even purrs when your rub her cheeks. It’s the purrfect-friend. Why must our smartphones die? We’ve all been there. Just when we need it, our cellphone dies. 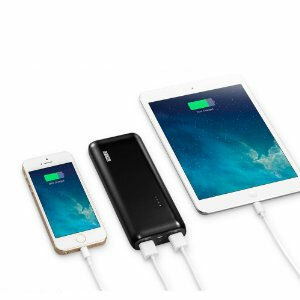 This pocket size usb charger from Anker gives you enough power to make it through the day without having to worry. It has enough juice to charge your phone up to 2 times. So get back to texting. If you ever wanted a real tablet for your kid but didn’t want to spend too much money for it, the Amazon Fire HD 6 is for you. It comes with a 6 inch screen in cheery exciting colors. With a quad processor, it raises the bar on bargain tablets. The operating system is easy enough for a 9 year old to figure out. It is so inexpensive and sturdy enough that you won’t even care if it lands on the floor. Don’t be afraid to let your kids play with Fire HD 6. Come in Agent 9 can you read me? 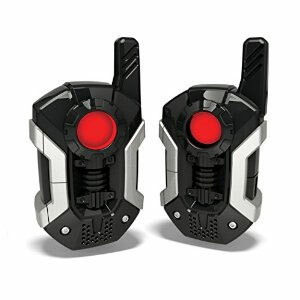 Whether your kids want to play spies, space cadets, or cops and robbers they can communicate with these hi tech looking walkie talkies from Spy Gear. These walkie talkies have a range of up to 2 miles. Got a nine year old? Get them a GoPro action camera. They’ll be the coolest kid at school. You don’t need the latest one. 9 year olds just need something to capture video and upload to Youtube. 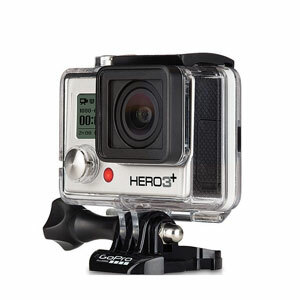 Wearable and mountable, these cameras are great for capturing any adventure. From creating their own book to making their own art supplies, these gifts will tap your 9 year old’s creativity so you’ll never have to hear the inevitable “Mom, I’m bored” complaint. You can buy markers but what fun is that? Now kids can make their own markers with the Crayola Marker Maker. The kit comes with everything you need to make 16 markers including 3 ink bottles and 2 marker boxes. 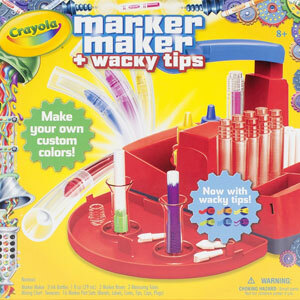 With this set, you can even change the shape of the marker tip with the fun wacky shapes. Kids can use the mixing guide or mix random colors to make colors that we didn’t even know existed. Designed to bring out the maker in your child, the ThinkFun Maker Studio Winches kit lets kids build vehicles out of empty grocery boxes lying around the house. Kids will build a truck, crane, well, and jeep. The coolest part? There are little mini puzzles that kids will have to solve with their cool creations. Without any sewing, kids can create this PlushCraft Purrfect Pillow. Kids just push the included material into the correct numbered area much like paint by numbers. It comes out “Purrfect” every time. What a great way to learn to sew! This adorable beginner set comes with a little plastic needle and thread to sew two adorable felt characters. Each animal is about 4 inches tall. The felt pieces are all pre punched, making it easy to thread and stitch. 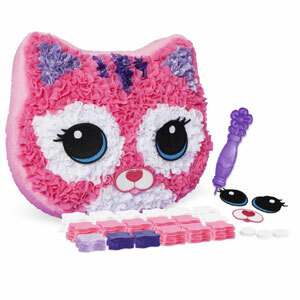 Kids can design their own large pillow with this craft set from Alex Toys. 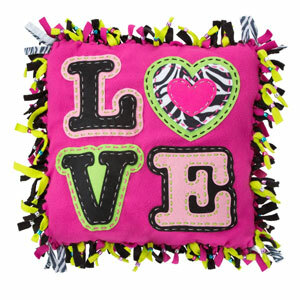 The kit makes one doubled sided fleece pillow with the word “love” on one side and the word “hope” on the other. Everything you need is included in the kit. 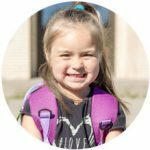 It’s easy to make but kids might need a little help if they have never stitched before. All of the pieces come pre punched, making it easy to stitch. Just stitch, knot, and stuff the pillow. 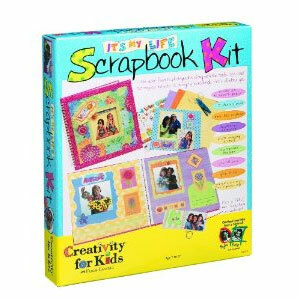 This scrapbook kit from Creativity for kids lets girls create their very first scrapbook about themselves. Inside you will get 12 scrapbook pages, scissors, stickers, a stencil, paper and more. Let kids show off their artistic side. If your little girl loves art, she will enjoy the chance to create her own scrapbook about her own life. Reading comic books is fun. How cool would it be if you could make your own comic book? Now you can with this set from Lulu Jr. 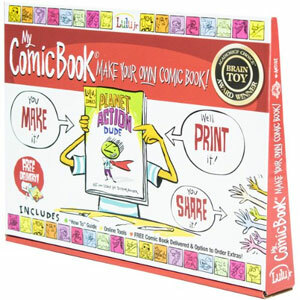 Simply use your super powers to illustrate your own comic book on the 18 included pages. Put everything into the prepaid envelope. A few short weeks later, you will receive your very own professionally printed comic book. What superhero could do that? Minecraft fans will get a kick out of this 48 piece papercraft set. Best of all, there is no computer required. Simply fold the paper into cubes using the tabs to hold everything together. Kids will build Steve as well as the dangerous underground mine cart track riddled with TNT explosives. It’s explosively fun. DIY jewelry kits are some of the best gifts for 9 year old girls. 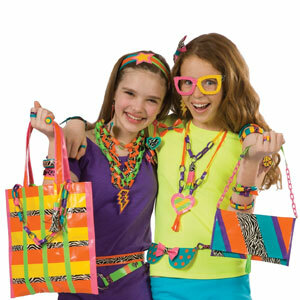 There is nothing more that 9 year old girls love to do than making their own jewelry and fashion accessories. 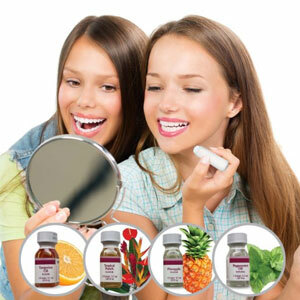 These kits will have them making their own lip balm, jewelry, headbands, and more. What could be better than cake and candy? 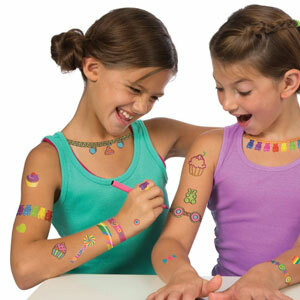 What about temporary tattoos featuring cupcakes, lollipops, and all kinds of other sweet things? There are over 136 designs to choose from. Place the tattoo strip on the skin to leave the outline of the tattoo. You can then decorate the tattoo by adding color with the included markers or even adding sparkly dust on them. What could be sweeter? Every girl needs a bag for weekend sleepovers. Why not make it your own? Part of the fun of this bag is personalizing it to make it your own. Girls can use the included 5 fabric markers to color it any way they want. Once complete, the zippered bag with handles is perfect for staying over at friends. It’s party time with this Duct Tape set from Alex Toys. 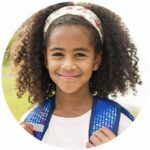 This deluxe set lets kids create all types of duct tape fashions including glasses, bags, earrings, hair clips, and more. With 12 rolls of duct tape and tons of jewelry templates, you’ll have everything you need. The party is just getting started. Where did you get that cool jewelry? Nowhere! You made it yourself with this craft kit from Creativity for kids. Just color the paper patterns and use the gemstones to create necklaces, bracelets, hair clips, and more. You can make 15 different pieces. Plus, it comes with a purse to go with the jewelry. How would you like to create your own fashion headbands? 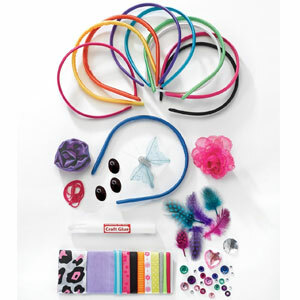 With this kit, girls can create 10 satin headbands, decorating them with ribbons, feathers, flowers, and more. Best of all, after decorating them you can wear them or even give them as gifts. OMG! Luv it. It ain’t a party without Spa Hair Chalk from Alex Toys. 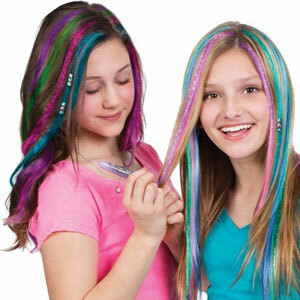 With 12 colors including 5 metallic colors, girls have everything they need to create a fun party in their hair. Add the decorative metallic beads to make an even bolder fashion statement. 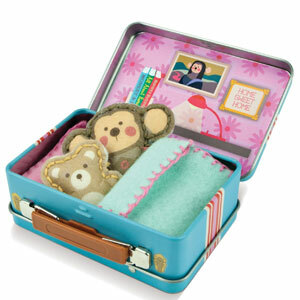 The 74 piece kit is all contained in a carrying case for on the go fun. Everything washes out easily with shampoo. Everyone will be asking you where you got your cool jewelry from with this DIY jewelry set from Alex toys. 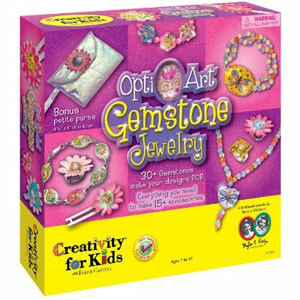 With this 31 piece kit, kids can make a fantastic assortment of bracelets or necklaces. The kit contains beads, charms, leather cords, color twines, and gem stickers. There are enough pieces to make 31 jewelry pieces. Over 40 years ago, Shrinky Dinks were invented by 2 moms in 1973 as a cub’s scout project. 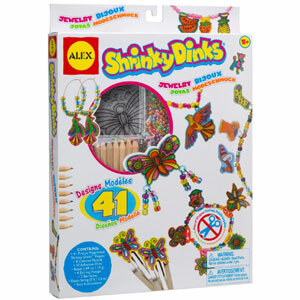 Now Alex Toys has made it easier than ever to create your own Shrinky Dinks jewelry with an entire line of craft toys. The kits come with precut and preprinted plastic shapes. With this set, color the designs and bake the shapes in a toaster oven and they will shrink and harden. Then decorate your designs. 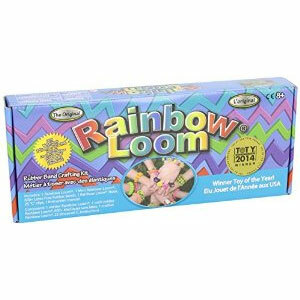 Rainbow Loom caught the world by surprise. 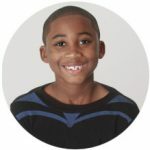 With this kit, kids can create all types out of fun rubber band jewelry including bracelets, necklaces, and key chains. The starter kit has everything you need to get started. Bracelets are cool but making your own is so much cooler. Get ready to get all blinged out with Blinglets. 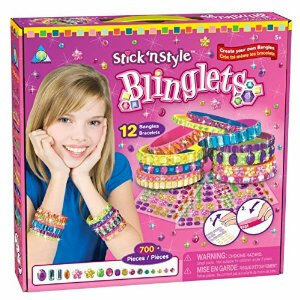 With over 700 pieces, kids simply stick the jewel pieces on the bracelets to create their own blinged out designs. 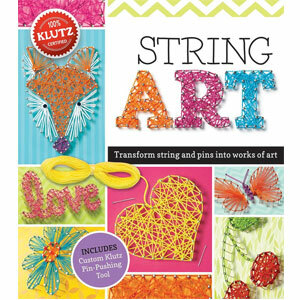 This kit from Klutz lets kids make works of art out of ordinary things like string, pins, and paper. It comes with a 56 page book filled with lots of inspired designs. The book takes the mystery out of the magic that happens in between. Create all types of string art that’s all your own. 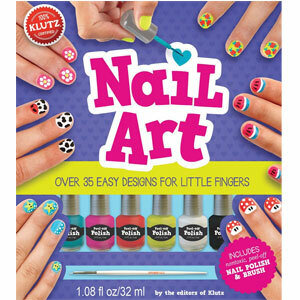 Now style is at your fingertips with this fun Nail Art set from Klutz. The kit has everything you need to create fun nail art including six colored nail polishes. The instruction book contains over 35 easy designs for little fingers. The kit includes a detail brush for creating intricate designs from bumblebees to spotted monsters. Nail Art is cool, but you know what is cooler? Nail Art that glows in the dark. 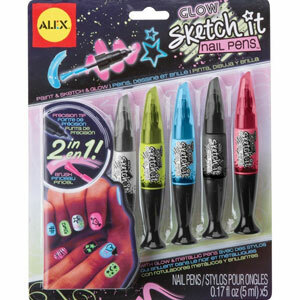 With Alex Toys Sketch Glow in the dark nail pens, kids can create fun nail designs that glow in the dark. Five different glow in the dark nail pens are included. First paint your nails. 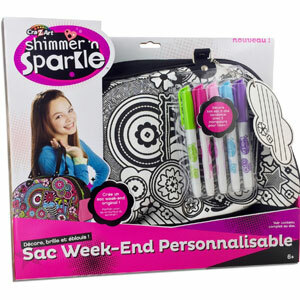 Then use the glow in the dark pens to create a fun patterns. 9 year olds love to play with friends and don’t mind a little friendly competition during family game night. If you haven’t tried these board games, they make excellent gifts. 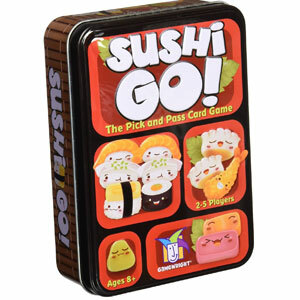 Get ready to dine in Sushi Go! by Gamewright. Imagine being at a Sushi restaurant with a conveyor belt and food passing you by. Everyone is dealt a hand of cards with pictures of the most adorable Japanese food ever. On each turn, the idea is to take one dish represented by cards and pass the rest of the cards until all the cards are picked. Different combinations of cards (meals) are worth different points. At the end of a round, points are scored and a new hand is dealt. It’s a strategy game that requires you to think about which piece of food you want to pick up to score the highest score. It is fun that is raw. All aboard with this award winning game. 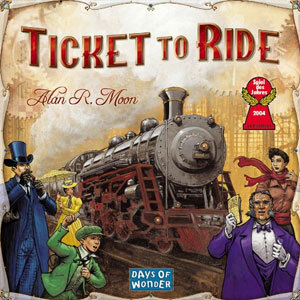 In Ticket To Ride you collect and play matching train cards to build railway routes connecting cities. The longer the routes the more points you earn. The only problem? Other players will also be building routes often blocking your route. At the end of the game the players who scores the most points wins. Take a ticket to ride. 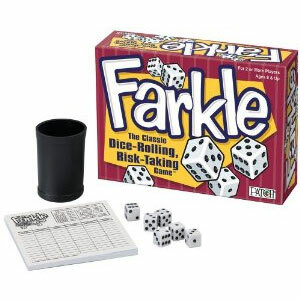 Farkle is a dice game where players roll 6 dice trying to score the highest point total. Different dice combinations are worth different points. The scoring is all printed on a rule sheet. There is a bit of strategy involved because after rolling you can continue to roll to get a better combination of numbers. If you get too greedy, you can lose all your points. It’s great for 9 year olds because there is a little math involved. What would happen if Godzilla met a board game? You would get this board game. 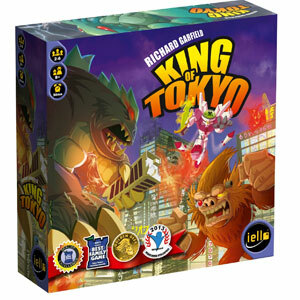 King Of Tokyo is a card and dice game with attacking monsters. In the game, every one is a giant monster battling to be the King Of Tokyo. Depending on what you roll, your monster will do different things. Who will be the last monster standing? In Carcassonne, players lay out tiles one at a time to create a town on the table. The pieces consist of roads, cities, and fields. The tiles have to be placed following the rules of the game. For example, roads have to be connected with each other. The town will grow as the players place different tiles down. The idea is to complete cities and roads so that your followers can inhabit them. 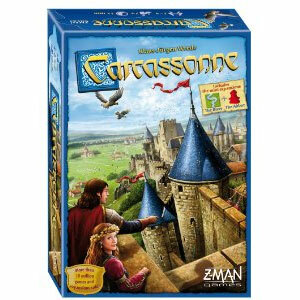 Who will take over Carcassonne? Forget family game night. It is time for Bounce Off. Bring it on. The idea of the game is simple. First you draw a bounce off card. The Bounce Off cards tell you the pattern you need to make with the balls. Then you throw the balls onto the game board with slots, trying to match the pattern. The catch? The ball has to bounce at least on time before it lands in a slot. It’s complete madness when played with 4 players all at the same time. Winning this game does make you the better person. This simple to play board game offers tons of replay ability. 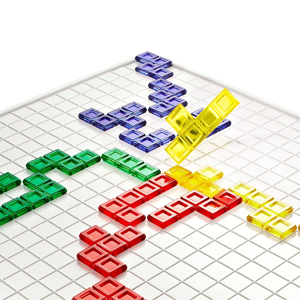 In Blockus, each player chooses their own colored Tetris-like shapes. The idea of the game is to lay out your pieces on the game board. There is only one restriction: The pieces must only touch at the corners. Initially, it is easy to place the pieces on the game board. However, once the game board fills up, it becomes more difficult. The player with the least amount of pieces in the end wins. 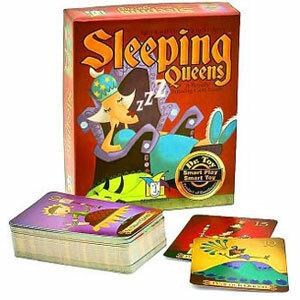 Sleeping Queens is a card game for kids for 2 to 5 players. The game includes 12 queens along with the rest of the deck. First you lay out all the queens and deal each player 5 cards. Each card does different things. For example the Kings can wake up the Queens, Knights can steal someone else’s Queen, and Dragon’s stop the Knights from stealing the Queen. The player that wakes up 4 queens first, wins the game. 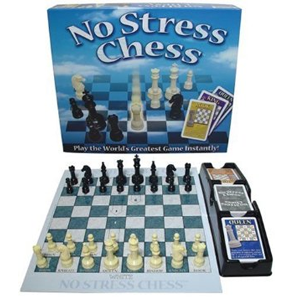 Take the stress out of playing Chess with this game from Winning Moves. It is perfect for beginners. To play you simply draw one of the 56 cards, moving the corresponding piece depicted on the card. There is no thinking required. Once you have mastered the game, flip the game board over and play the real thing. Do you want to learn about the states of the United States in a fun way? With Scrambed States of America, you can. Each player gets a map of the United States. Players draw 5 State cards. Then there are action cards that tell you what to do like “Find a State that directly touches 2 or more states below it” or “find a State with 10 or more letters.” Kids will pick up names, capitals, and geography just through play and repetition. The player with the most State cards at the end of the game wins. This is Monopoly for a new generation. It has been streamlined and turbo charged. All the most popular brands today are represented here from Coke to McDonalds. The objective is to buy the most brands, which increases the amount of money you collect. 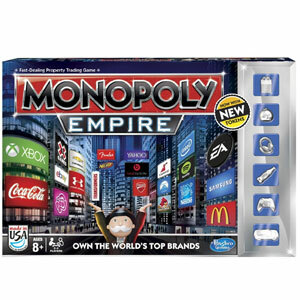 The game has even been sped up with the objective being to fill your high rise with the brands you acquire. The player that builds an empire to the top first wins. 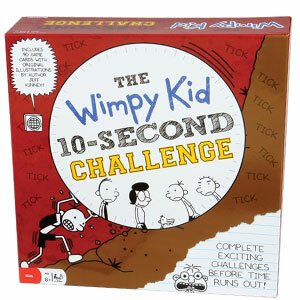 This board game, based on the Diary Of A Wimpy Kid book series, has kids racing around the board to finish first. As you make your way around the board you will have to complete various challenges such as tossing a beanbag in your shoe. The catch? You have 10 seconds to complete the challenges. It’s silly fun for the whole family. If you can add two numbers that add to 100, you can play Clumsy Thief. 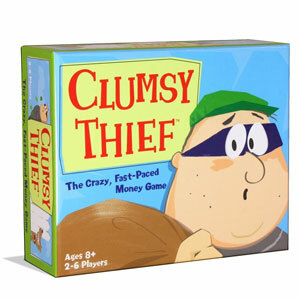 In Clumsy Thief, players get money by stealing money. The player with the most money wins. To do steal, place a card of your own on another player’s money stack where the top card and your card adds up to 100. The best part? Kids will improve their math skills. Young magicians will love performing these easy to do tricks. You will amaze friends and family with cups and balls, changing a penny into a dime, or cutting a rope and restoring it, and more. Abracadabra. Every 9 year old loves to build things. 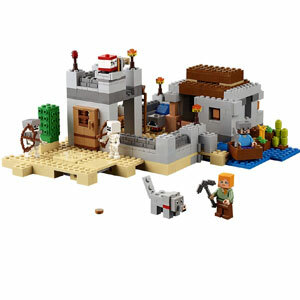 With these building sets, kids can build hotels, dragons, princess castles, and more. If there was ever a Ritz Carlton in the Lego universe it would look like this set from Lego. 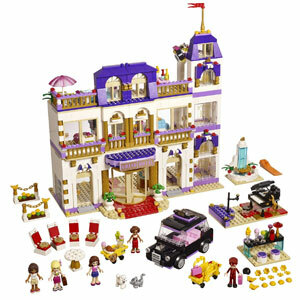 With 1552 pieces, kids get to build this 3 floor Grand Hotel. With so many pieces and 5 minidolls, this set looks and feels luxurious. The entrance to the hotel features a revolving door. While the outside of the hotel looks amazing, the inside is even more detailed. There’s a lobby, cafe, patio area, working elevator, 2 suites, convertible taxi, and more. It’s grand. 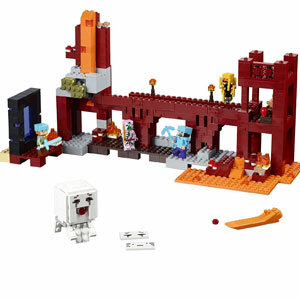 This 517 piece Lego sets lets kids build a fiery Nether fortress from Minecraft. 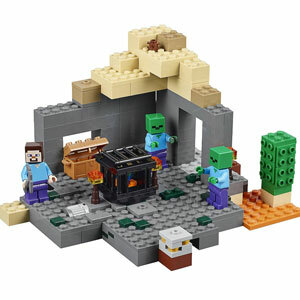 It includes 5 minifigures including Steve, Alex, Zombie Pigman, a Blaze, and a Ghast. Look out Ghast actually fires a fireball. The best part? There is actual flowing lava. Push up on the lever to release the lava block on unsuspecting figures below. Feel the dry air with this 519 piece Lego set. You get a bunch of minifigures: Alex, Steve, Wolf, and 2 skeletons. Inside the walls of this fortress there are a ton of booby traps. Lure the skeletons over them and blow them up with exploding feature. 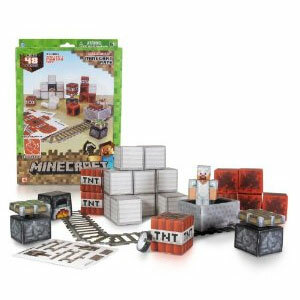 It brings the fun of Minecraft without the electronics. 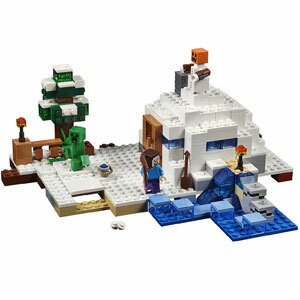 Travel to the snow covered Snow Hideout with this 327 piece Lego set. Out front, there is a frozen lake. You get 3 minifigures including: Steve, Creeper, and Snow Golem. Watch out for the Snow Golem who actually fires snowballs. The coolest part? There is an exploding creeper. We are ready for dungeon hunting with this 219 piece Lego set. It doesn’t have the most pieces, but the play elements are really neat. Just like the game, it has actual spawning zombies. There is a door that flips open that makes the zombie appear out of nowhere. Legos and dragons? There is not much to discuss. This is beyond cool. Sensei Wu has a tea farm when he is suddenly attacked by the ghost Ninja. Cole and Sensei Wu along with his Wu Dragon fight off the bad guys. With 517 pieces and 5 minifigures, kids will love constructing this epic dragon. There are all kinds of neat articulation for this dragon. Scooby Doo and Lego? Zoinks! This must be a dream. With this 301 piece set, kids get to build the Mystery Machine in all of its 1960s glory right down to the hippy flowers. It looks just like the one in the show. 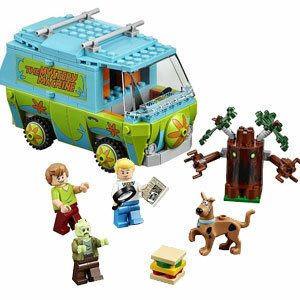 It’s comes with Scooby Doo, Shaggy, Fred, and a Zombie. The gang has never looked better than in Lego form. Even parents will want to be 9 again. 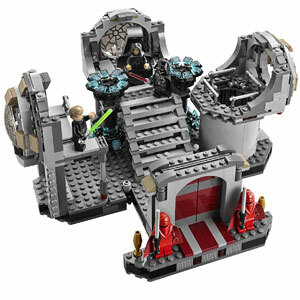 With 724 pieces and 5 minifigures, kids get to build this amazing Star Wars set where there can relive the iconic battle between Luke and Darth Vader. Even for Lego, this set is unbelievable good. Not only are we getting a completely new Darth Vader minifigure, but every detail has been captured right down to the light sabers. This is the set every Star Wars and Lego fan is going to want. With so many play features, kids can knock out components for an epic battle. It is simply the best Lego set of 2015 and one of the best sets ever. This superhero set from Lego has 1037 pieces with 8 minfigures. You not only get Batman and Robin but also a cast of villains including The Joker, Harley Quinn, Poison Ivy, and the Penguin. 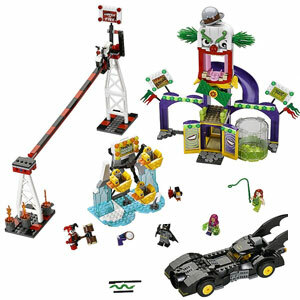 Along with the Batmobile, the set has kids building a large amusement park called Jokerland. You can slide the minifigs down the many deadly attractions. There’s a ducky ferris wheel, Carnivore Falls, Harley’s Wheels of fire, the Shoot o’ matic, and a Fun House. It’s just a fun set with so many great play features. 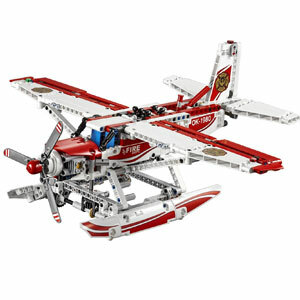 Take to the skies with this 578 piece Lego Technic set. This model plane has so many authentic features including a 3 blade propeller, a detailed 2 cylinder engine, and chrome exhausts. You can control the elevators with the joystick on the top of the plane. The wheels under the plane spin the propeller. The coolest feature? It releases water blocks with a push of a button. When you are done putting out fires, you can rebuild the set into a high speed jet. Welcome to the new world of Lego Elves. It is a new fantasy role play line for girls. With 505 pieces, this is the Treetop Hideaway where the entire story starts. In this set, kids get to build two enchanted mysterious trees complete with living spaces. The best part? The top of the tree can open and close, acting like curtains. There is definitely something magical about this set. 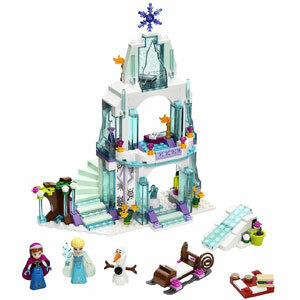 Lego is giving little girls the power to build Elsa’s Ice Castle out of bricks with this 292 piece set. It includes minidoll representations of all of our favorite characters including: Elsa, Anna, and Olaf. Kids can recreate the entire scene right down to the magical steps that flip out. Who doesn’t love a good book? These fun books make great gifts for 9 year old boys or girls. Build something new. 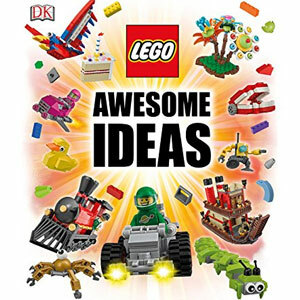 With the Lego Awesome Ideas author Daniel Lipkowitz gives kids the inspiration to build in new ways. Featuring large photographs with informative text with step by step breakdowns, each chapter explores a different theme from fantasyland to the real world. Nikki Maxwell is just your regular artistic dorky girl who wants to make friends and survive school. That and she wants to be one step ahead of the school bully, Mackenzie. 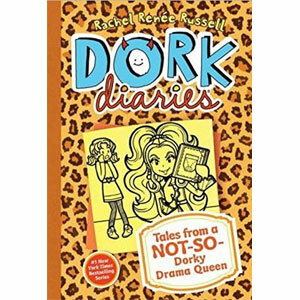 In this book, Mackenzie manages to steal Nikki’s diary. Will Nikki get her diary back before Mackenzie causes serious damage to her reputation? 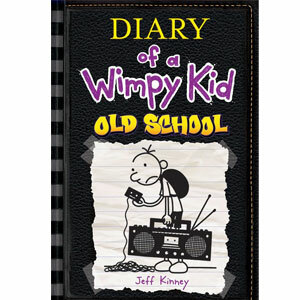 Just about everyone is excited for the new Diary Of A Wimpsy Kid: Old School from Jeff Kinney. This is the 10th book in the popular book series. In the latest book, Greg will be put to test as his entire town goes with electronics. Will he survive? Are you tired of your paper planes flying next to nowhere? 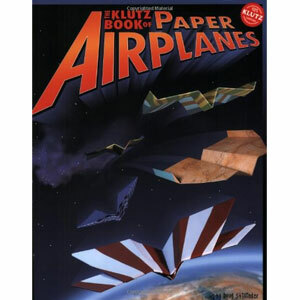 Build the coolest paper planes you could ever make with this step by step book from Klutz. This book feature easy to follow directions, great diagrams, and plenty of cool designed paper to fold into planes. The best part is the planes fly beautifully and gracefully through the air. You’ll want to run outside and fly them. Did you know in 1889, the Queen Of Italy ordered the first pizza delivery? 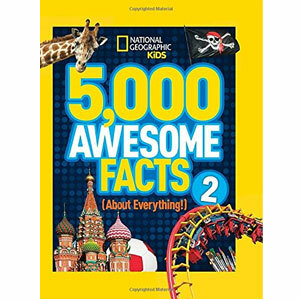 With this book from National Geographic kids can explore over 5000 facts from underwear to dessert. It’s a very big book with so many vibrant illustrations inside. Even if they don’t like reading, kids with inquisitive minds won’t be able to get enough of it. 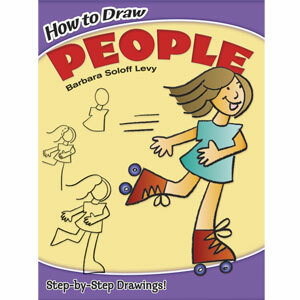 Even beginners will love learning how to draw people with this book from Barbara Soloff Levy. Kids will draw 30 fun characters including a roller skating girl and boy. It uses simple shapes like circles and squares to produce simple step by step directions. Best of all, you can even color the drawings when you are done. 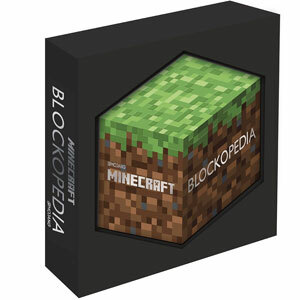 Minecraft Blockpedia is an impressive book even before you open it. 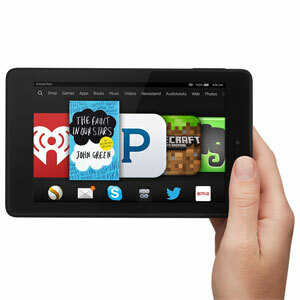 It comes packaged in a beautifully bound hexagonal shape that looks like it is 3d. This guide looks at every single block type in Minecraft. It’s great reference for beginners and experienced players. We are big fans of Minecraft. 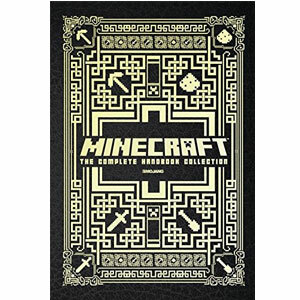 Kids love this best selling collection of Minecraft books. It comes in this gold foiled box set which makes a great gift. Inside there are 4 books covering different aspects of Minecraft. There is the red stone handbook, construction handbook, combat handbook, and the beginner’s handbook. Now it is has been completely updated. Have you ever wondered what a Minecraft Zombie was thinking? If your kids love Minecraft, they will find this book a hilarious twist on the Diary Of a Wimpy kid. 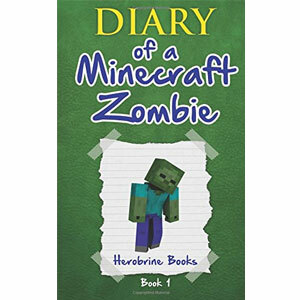 With 86 pages, you get to read the actual diary of a Minecraft Zombie. This book is delightful and imaginative. 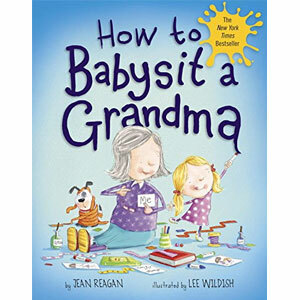 Filled with fun activities and darling pictures, you can just imagine the fun things that happen when a granddaughter babysits her grandma. 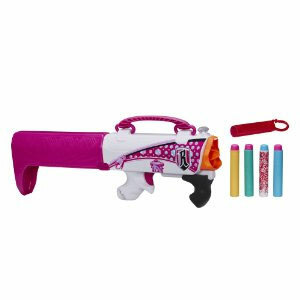 9 year old boys and girls can act out power, victory, and triumph with these fun blasting toys that will have them chasing each other up the stairs, between grandpa’s legs, and around trees. Stomping on this air filled blast chamber, blasts a rocket 200 feet in the air. 200 feet is as high as 40 of your friends standing on top of each other. What could be more fun? Launch the rockets at night and a green LED light not only lights up the sky but makes them easy to track down. 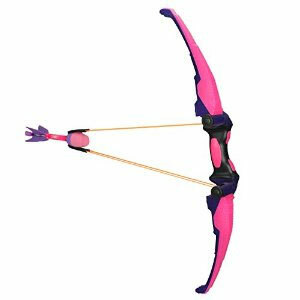 Little girls with be running around like Katniss with this pink and purple bow arrow set from Zing Toys. 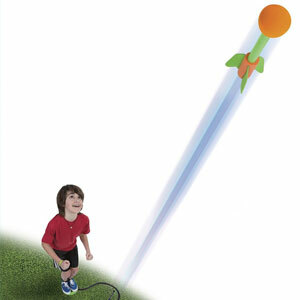 Pull back the bungee cords to the launch the foam darts over 145 feet away. The blazing darts whistle through the air like fireworks. Even Katniss needs one of these. 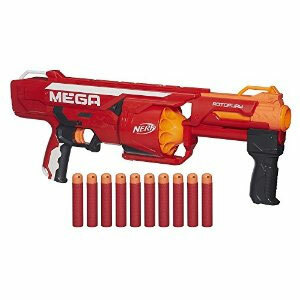 Feel the power of the Nerf Mega line. The darts in this line are bigger, packing more oomph. Fire them through the air and the darts whistle. With a 10 dart rotating drum, the Mega Rotofury Blaster is awesome. Hold the trigger down and pump the blaster to fire the darts 90 feet away. Unleash all 10 darts without reloading for non stop slam action. Every spy needs this. Spies will look harmless with this bright pink colored purse. Press the button and the bottom of the purse swings out into a blaster. Quickly load all four darts into the blaster. Pull back the trigger to fire darts at unsuspecting prey. They’ll never know what hit them. 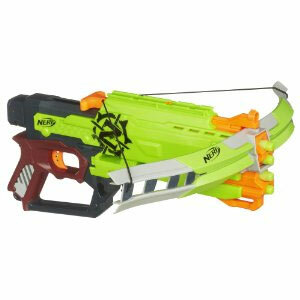 We are going Zombie hunting with the Nerf Zombie Strike Crossfire Bow. This bow gun looks straight out of the Walking Dead. It even fires the same way. Load up 4 darts, then pull back the crossbow mechanism. Pull the trigger to send the darts flying up to 75 feet. Zombie won’t know what hit them. 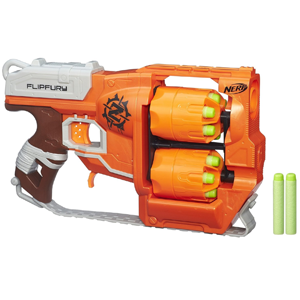 With a rotating flipping drum, the Nerf Zombie Strike FlipFury has 2 drums with 6 darts in each. When one drum is empty, pull back the trigger to quickly flip the drum to unload 6 more darts. The zombies have no chance. Whether they like basketball, football, or just moving around, any sporting equipment makes an awesome present. 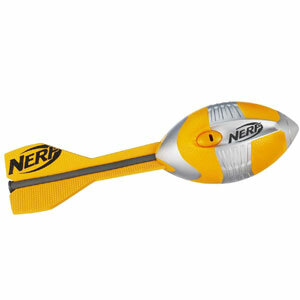 Get down and dirty in rain, snow, or mud, with the Nerf Weather Blitz football. Made of soft foam with a rubber grip, the football is easy to handle. Whether used on the beach or for a simple game of toss, this football is ready for necessary roughness. 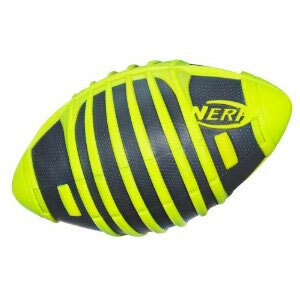 Kids will have fun “going long “with the Nerf N-Sports Vortex Aero Howler Football. The secret is its tail which makes it fly farther than any other football. Now kids can feel like a real quarterback. Jump! Jump! Jump! What could be more fun than a trampoline? One with a basketball hoop and ball for dunking. With 8 feet of jumping space, kids will enjoy many hours of fun. 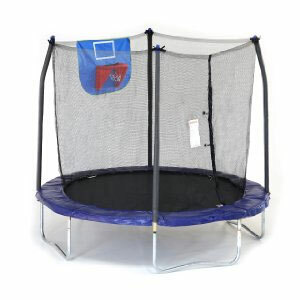 Including a netted enclosure, covered springs on the outside, and a weight limit of 175 pounds, this trampoline is designed with safety in mind. 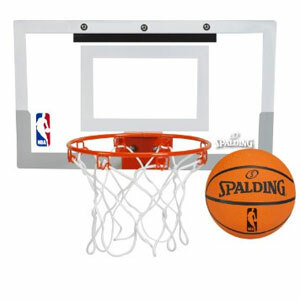 With this indoor miniature basketball hoop from Spalding, kids can bring the fun of basketball indoors. With the real dimensions and design of a real NBA official backboard, it’s like a tiny version of the real thing. It’s perfect for playing in the bedroom. Installing it is quick and easy as it mounts over the door. Featuring a breakaway rim and Polycarbonate backboard, the basketball hoop is built for even crazy dunks. It’s as fun for the big guys as much as the little guys. Encourage your 9 year old to get outdoors with these riding toys. They’ll have fun with their friends while they get some exercise. Of course, when choosing riding toys make sure your child has a helmet and the proper safety gear. Cruise around on this highly rated 2 wheeled lightweight scooter from Micro Kickboard designed for kids all the way to parents. Weighing only 5.5 pounds, the Micro Sprite Scooter is strong and lightweight. 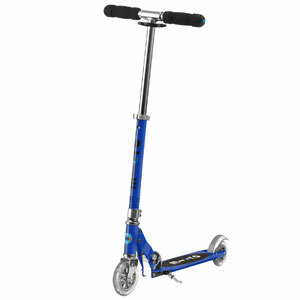 With an adjustable handle bar that extends 34 inches above the base, it supports riders of up to 220 lbs. The step on rear break is easy to use. You can even park it with the kickstand which keeps it upright. 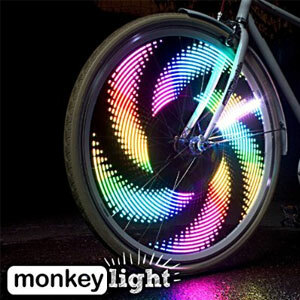 Best of all, the scooter can easily fold with the press of a button, making it easy to store..
Cars may want to slow down just to check out your ride with the Monkey Bike wheel light. Attach this gizmo to your wheels, speed up to between 10 – 40 mph, and you got an instant party on them. 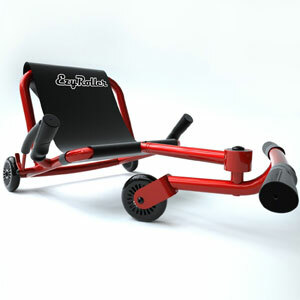 The contraption is designed to fit wheels that are 20 inches on larger. Light up the road. 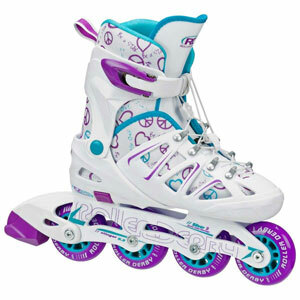 With such a fun design, the Roller Derby Girl’s Stinger skates are super easy to adjust. Everything fits snugly around the foot. With just a push of a button, you can easily slide the skates to the correct size, making them the perfect first pair of skates. What would it feel like carving on the streets? With the Ripstick Caster Board from Razor, there is no need for snow because you can do just that. While it looks like a skateboard, there are two parts to the board connected by a crossbar. Accelerating and turning is accomplished by twisting back and forth on the board. Get ready to rip. With the Ezroller, you don’t even have to try hard to get it moving. While sitting, kids swivel the front foot bar back and forth to create momentum. For added safety, pull back the handbrake to avoid obstacles. The steel frame means that it is designed to take a licking. 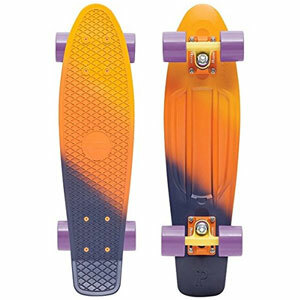 Your hipster will love cruising around on this Penny Skateboard. 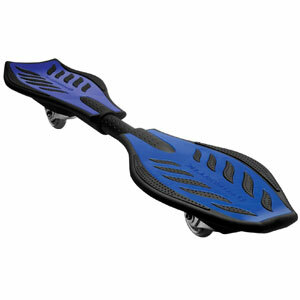 Compared to other boards, it is faster, smoother, and more enjoyable. Inspired by retro designs, there are so many bold designs to choose from. Get on board. These skateboards are worth every penny. Whether it’s logic games or mazes, most 9 year olds love to play with puzzles that challenge and exercise their mind. They’ll spend hours trying to solve and resolve these puzzles as they build creativity, critical thinking skills, and eye hand coordination. 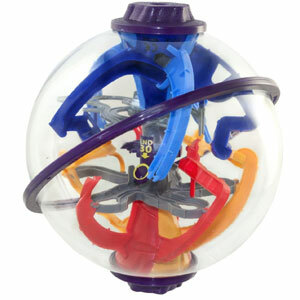 With Perplexus, kids have to guide a small marble through a spherical maze with over 100 obstacles. This award winning toy has kids twisting, flipping, and turning the spherical maze. The catch? If the ball comes off the track you have to start from the beginning. 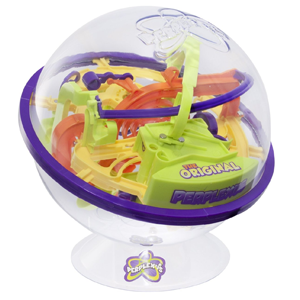 The Perplexus puzzles are little mazes inside an enclosed sphere. This is a new twist on the original game. You still have to guide the small marble through the track. The challenge is that you have to twist the track so that you can guide the ball over the gaps, cliffhangers, and drops. It requires lots and lots of patience. 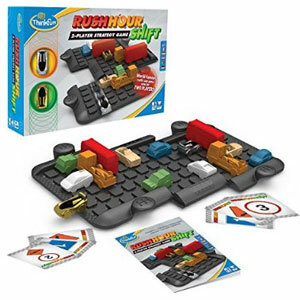 Rush Hour Shift is a 2 player version of the award winning Rush Hour. Simply pick a traffic card and set up the game board with the same traffic pieces on the card. The goal is to get your car across the board to the opposite side before your opponent. The problem? With traffic pieces blocking the way, you’ll have to navigate out of the traffic jam. As you draw cards, you can slide the traffic and shift the grid to either block the other player or advance. What’s cooler than lasers? Nothing! 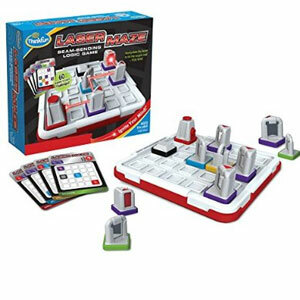 In this logic game from Thinkfun, you will have to shoot a real laser through a maze. Simply choose one of the 60 challenge cards, setting up the pieces as depicted. Your goal is to figure out where to place the remaining pieces so that the laser beam lights up the target. You will bounce the laser off mirrors and even split the laser to reach the target. 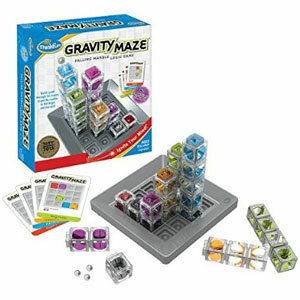 This falling marble game from Thinkfun will have you thinking about gravity in new ways. There are 60 different challenges that tell you how to set up the tower pieces. You will have to figure out how to place the remaining tower pieces so that when you drop the ball through the towers, it will land on the target. What would happen if you combined chess with Connect 4? 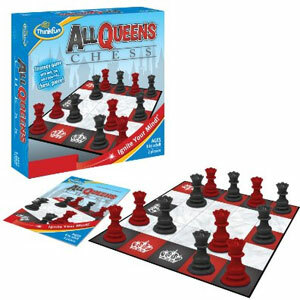 You would get All Queens Chess from Thinkfun. In this 2 player game, you have to try to get your four queens in a row horizontally, vertically, or diagonally. The queens can move just like chess but they can’t be captured. Just like chess it is deceptively simple, but requires a lot of strategy. Dolls are some of the best toys for 9 year old girls. These dolls make great gifts for 9 year old girls. The Monster High Freak du Chic Gooliope Jellington Doll is the biggest Monster High doll of the year literally. Standing 17 inches tall, she is the daughter of the Blob. Like the other dolls in the High Freak du Chic, she has on an over the top circus outfit. Celebrate the holidays with this gorgeous Holiday Barbie Doll of 2015. Each doll comes packaged in a beautiful gift box. 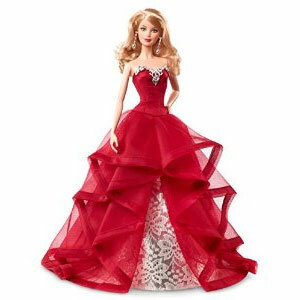 Barbie is wearing a striking red translucent ballroom dress with a silver inset in her skirt. With silvery matching pieces and a gorgeous hairstyle, she looks as sparkling as an ornament. Darling Charmin is the daughter of King Charming. There is no need to rescue Darling Charming. She is a rebel. With her metallic and glittery outfit, she might look like just another Barbie doll, but she wishes to be a knight in shining armor. This beautiful doll has long blonde hair with blue highlights. On her shoulders and waist she is clad in a beautiful bodice that almost resembles a knight’s armor. In the Ever After High Way Too Wonderland special, all the characters jump down a rabbit hole. 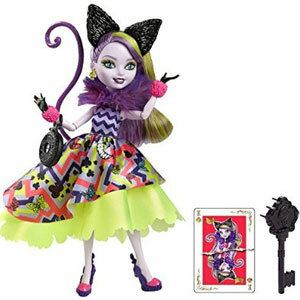 Jump down the rabbit hole with the Way Too Wonderland Kitty Cheshire doll. Kitty sports a beautiful dress with a zig zag purple striped bodice, purple fur color, and skirt with zany zig zagged neon colors. Her neon skirt features butterflies, black clubs, and cheshire grins on it. With her cat ear headband on, she has purple hair with a neon yellow streak. The doll is way too wonderful. Catty Noir is the Daughter of the Werecats. This doll is based on the new Monster High Musical Boo York, Boy York. In the movie, as the comet hovers over the city, Catty discovers her true voice but may lose it because of Nefera’s evil plot. Wearing a blue cat ear head band with matching shoes, the doll has bubble gum pink hair with blue streaks. She has on a big armor with a shimmering purple dress. Boo York, Boo York is the first Monster High Musical. Here is a new ghoul from the Monster High universe based on the new musical. This is Astra Nova. She’s come down to earth as a comet to show off her amazing style. Just like the movie, she actually floats when you place her under the comet. It works almost like magic. Play music and the comet lights up with the beat. Over 3 feet, the Monster High Deadluxe High School play set is the largest Monster High playset ever, allowing girls to store up to 30 different dolls. The set comes with little pegs to hook the dolls into, allowing the dolls to be stored upright. With 6 different rooms, there are many surprises to be found all over the playset. 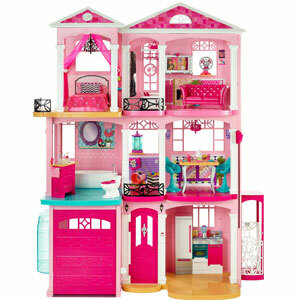 Get ready to move into Barbie’s new 3 foot tall dollhouse. It is massive with 7 different rooms. There’s a garage that opens, kitchen area, dining area, bathroom, pet room, and closet. For Barbie fans, it is really a dream. Kids love to play videogames. Why? The simple answer: because they are fun. With these videogames, kids can create their own worlds, bring their toys into the virtual world, or play with others. 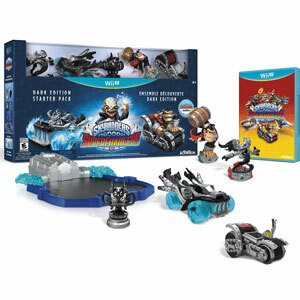 Get supercharged with Skylanders SuperChargers, the new Skylanders game. The Skylanders games were the first games that allowed kids to bring their toys into the videogame world. Every year we get something new. This year we are getting a brand new range of toys featuring vehicles. We are getting vehicles that not only roam on the ground, but also fly through the air and dip into the sea. Ever since it was released, Minecraft has taken the world by storm. Now the game is available on almost every console. Players have to collect resources and tools as they battle against the Creepers. Minecraft is the ultimate sandbox game, allowing kids to build anything they can think of from castles to rollercoasters. It’s been 30 years since Mario starting hopping around inside of videogames. 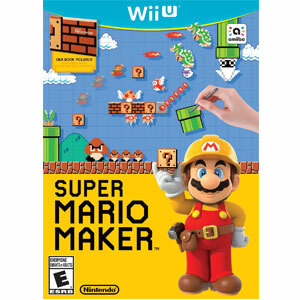 To celebrate, Nintendo is letting players design their own side scrolling Mario levels on the Wii U. You can finally create the entire first level for the very first game on NES. 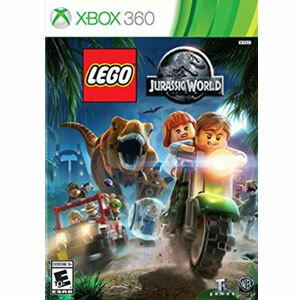 What could be better than a video game with dinosaurs and Legos? This sizeable adventure lets kids relive their favorite scenes from the Jurassic Park movies. There is nothing more fun than walking around as a big menacing dinosaur. It’s never been so fun to make a mess. 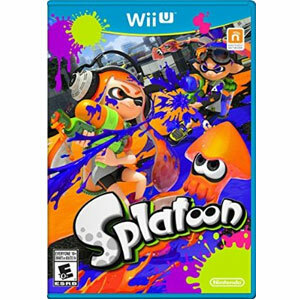 In Nintendo’s Splatoon, players control squid-like characters, battling each other, and claiming turf by spraying colorful ink everywhere. For even more fun, you can even blast enemies with an assortment of toy like weapons. Get ready to dance! 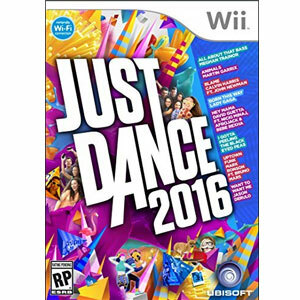 In case you haven’t heard “Uptown Funk” enough the new Just Dance 2016 has it . The game will have the whole family breaking out in sweat to tracks from Nicki Manaj, Jason Derulo, Meghan Trainor and more. Lego is joining the toys to life video game party. Now you can bring Legos to life in a videogame with Lego Dimensions. Simply place your specially designed Legos on the peripheral to bring them into the game. 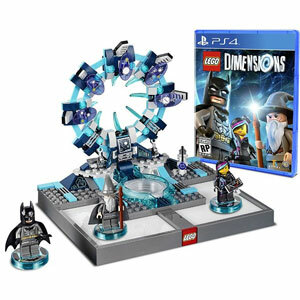 The game brings together several universes including DC Comics, Lord of The Rings, The Lego Movie, Simpsons, Scooby Doo, and more. The starter pack includes: Batman, Gandalf, Wild Style, and a Lego batmobile. 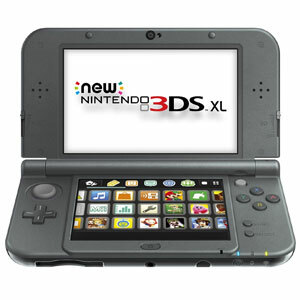 For those that love gaming on the go, the Ninendo 3DS is the perfect gift. The system allows for glasses free 3D. Nintendo has now improved the 3d feature so that it looks great for every angle. With a massive library of games for kids, it is the best portable gaming machine. Kids love when their favorite characters from a video game, TV show, or movie can be captured in the form of a playable figure. Kids can bring their favorite characters to life with these fun action figures. 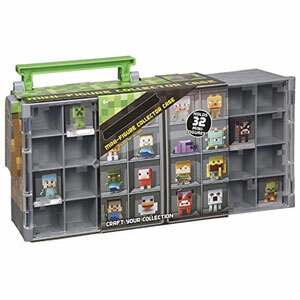 Give Minecraft figures a home with this collector’s case from Mattel. Kids will finally have a place to store their figures that is not the floor. 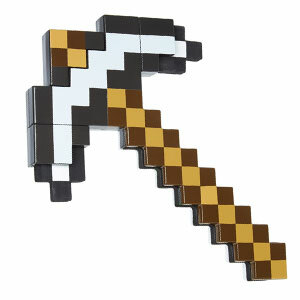 At first, this pickaxe looks just like the one in the Minecraft videogame, but it is better. When you pull the top out, the pickaxe turns into a sword. Push the top back in and it is a pickaxe again. Now if they could only have one like this in the game. These tiny collectible toys make great stocking stuffers. They are tiny and so cute. 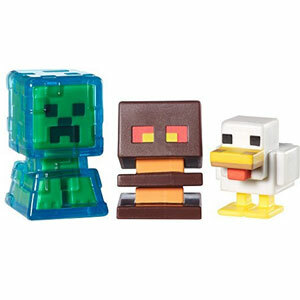 This set includes the charged creeper, magma cube, and a chicken. Minecraft fans will flip out over them. 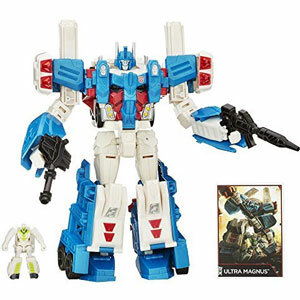 Leader Ultra Magnus was one of the most anticipated Transformers of the year. He comes with a tiny little Minimus Ambus action figure. The Robot mode looks so good. Ultra Magnus stands a good 8 inches tall. In 25 steps, he transforms into a Cybertronian truck. Did we mention his guns can be combined to form a huge battle hammer? Feel the need for speed with these great vehicle toys that make great gifts for a 9 year old boy. 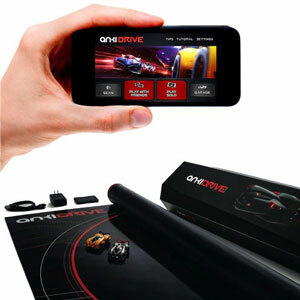 Anki is a car game that lets you bring videogames into the real world. Simply download the app to get started. You can race, battle, or practice. You can race up to 4 vehicles at once. The track is coated with vinyl and coated with special ink. When the cars race on the track, they pick up the special codes under the track which allows it to track where the cars are. The starter kit comes with 2 robot cars , Boson and Kourai. You can even upgrade your car as you race. The cars charge through USB. You get 20 minutes of game play for about 8 minutes of charge. Imagine playing a videogame in real life. That’s what playing with these robotic enhanced vehicles feels like. They come two in a pack. They are blue tooth app enabled cars. Once you pair the cars to a phone via bluetooth, the action starts. 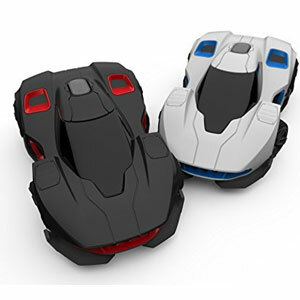 You can drive them around or engage in a laser tag-like battle. You can play with a friend or take on the pretty sophisticated AI. Amazingly, the computer controlled AI car will chase you down as it battles you. This is a nice website I am a kid putting stuff on my wish list for Christmas I found this helpful.